Bike-Seal provide Live demonstrations at numerous motorbike shows across the UK every year. We are invited to many bike clubs, tours and bike displays every year and try to attend as many with time and location restrictions. Every motorbike owner and motorcycle club deserves to see the demo at least once to see the huge money saving tyre sealant we sell. Contact us for our date availability for the remainder of the years dates. Competitors swear by their sealants. 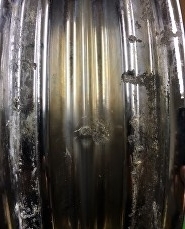 Little does the buyer know, corrosion & pitted damage can be caused with inferior products. Live public testing of the BIKE-SEAL tyre sealant in motorbike tyres. The Video was taken at the National Motor event in Madrid, Spain, 25th & 26th September, 2010. 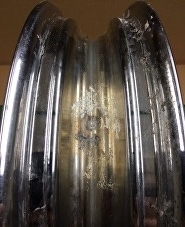 Bike-Seal has no chemical reactions to metals or tyre surface, therefore prevention of any damages caused like these images above. 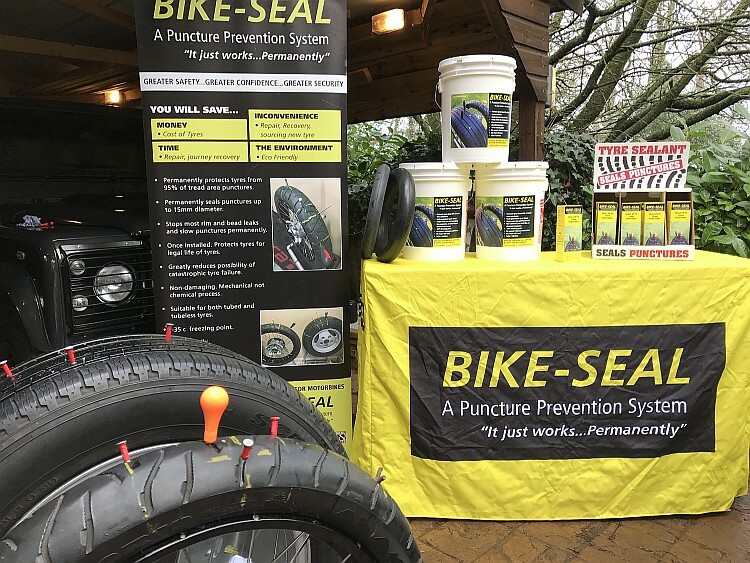 Buying from an official Bike-Seal puncture prevention dealer or direct from here at Bike-Seal. A demonstration of a 15mm diameter object piercing your tyre yet with Bike Seal/Auto Seal inserted the tyre prevents being punctured. Demonstration to show just how easy the Bike-Seal solution is to insert into your tyres. Aramid fibres are part of Bike-Seal solution provides us a puncture prevention sealant. Explanation of how the Bike-Seal solution spreads within your tyres and prevents future punctures. Bottle Size of 250ml/500ml for Bikes also available for Commercial in large tubs. Best tyre sealant demonstration of Tyre Sealant for motorbikes, cars, cycling…….. Example of how many times we have punctured our Demo Tyre yet still no puncture! With Safety Seal it is easy to quickly and permanently repair a puncture. The repair plug vulcanises together with the tyre rubber, therefore internal pressure will assist in forming the plug. The tests were broadcast on Nationwide News coverage.